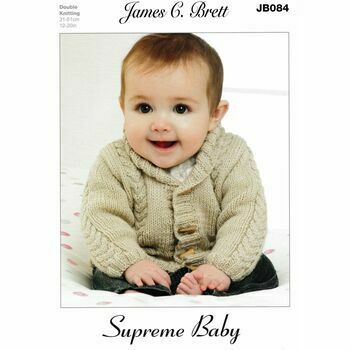 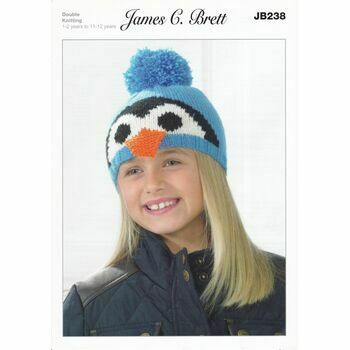 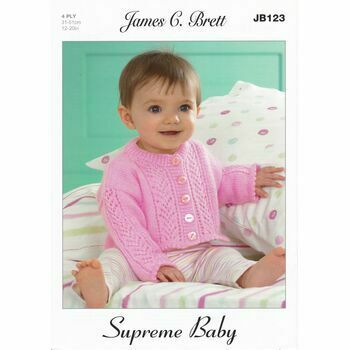 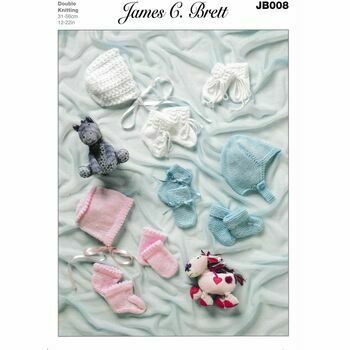 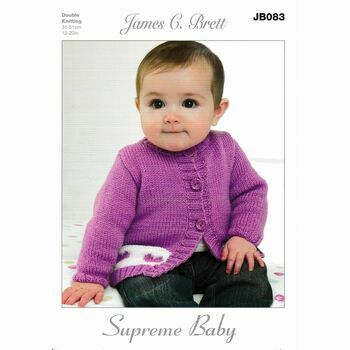 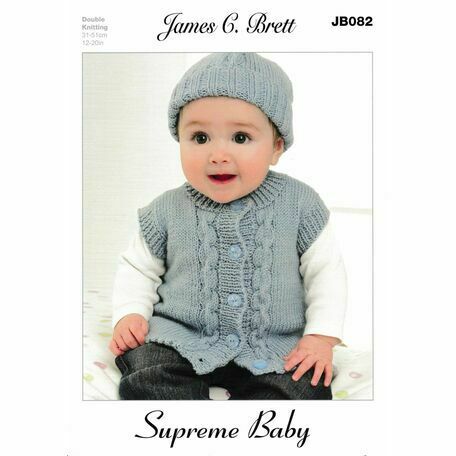 Create an adorable outfit for your little one with this great knitting pattern by James C Brett. 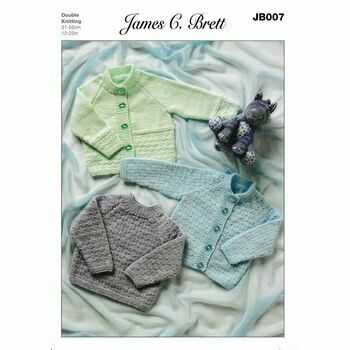 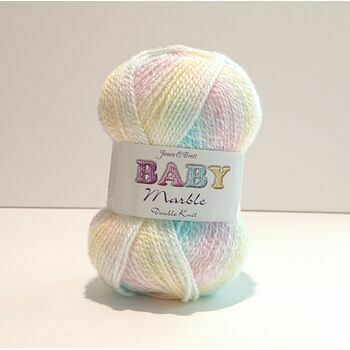 The pattern will create a baby cardigan, waistcoat, hat and mittens. 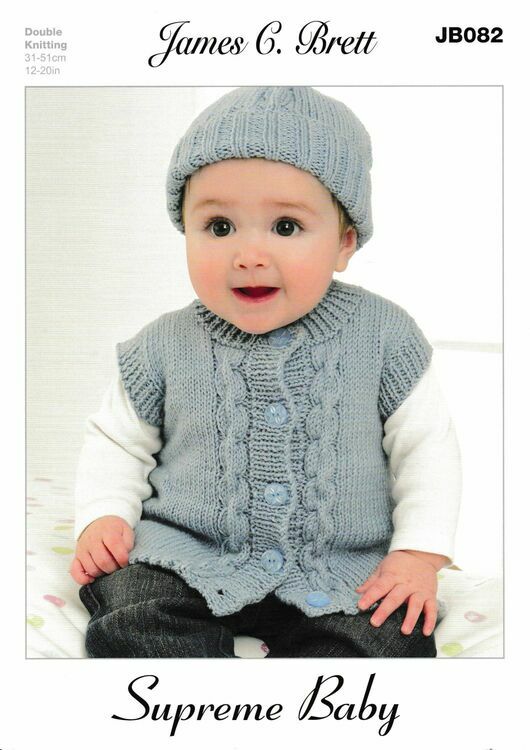 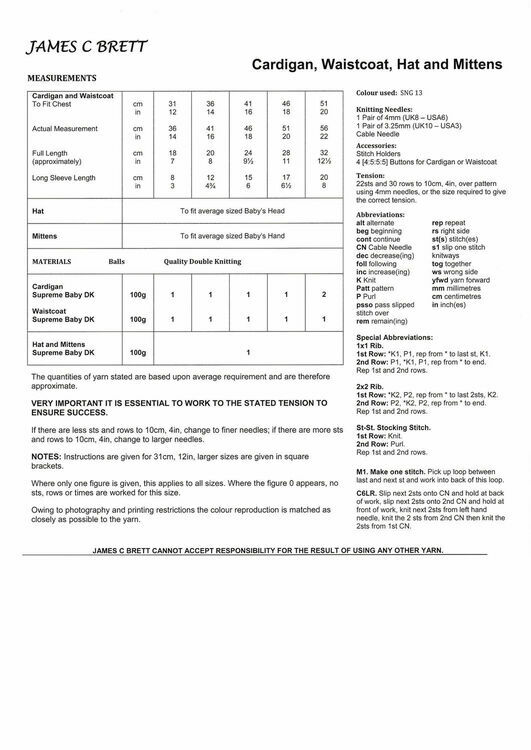 just received pattern it looks lovely looking forward to making it.